PW Connect (www.pastorswives.com) is the sister blog of Pastors' Wives Thriving in the Fishbowl's website & message board. We support, encourage, and nurture ministry wives. Our contributors have experienced the fishbowl of ministry life firsthand, and we're here to come alongside you in all the joys and tears. The Lord has crossed my path across those of countless women. One characteristic we all have in common is wanting to fix things. We do everything we can to keep our homes or offices running smoothly. It’s our fondest hope for those around us to get along so we oversee their lives. Some of us even work on appliances and vehicles that won’t run. We come by that trait honestly. After all, God created woman to benefit the man who was alone. They made a team until Genesis 3 happened and the Fall damaged every aspect of creation. Who could blame us if we get carried away? Sometimes especially when we minister. The idea never crossed my pastor’s wife mind. It’s been six years since my time in direct ministry, and I served from the pews for ten years before Curt was ordained. Regular attendance is reacquainting me with the other side of the pulpit, so to speak. And there’s a fresh perspective dawning that bears consideration. It seems that during the time I lived with the Lord’s servant, I have forgotten a detail or two. At least that possibility struck me in a phone conversation. Jane* is a dear friend who’s a seasoned pastor’s wife. We were catching up on each other’s lives when she asked if Curt was still in Maine. When I said he was, she asked how we were doing. I assured her we were fine except for him finding a job. Jane spent the next twenty minutes giving suggestion after suggestion of what Curt could do, should do to join me. At first I tried to explain why some of her ideas weren’t feasible, but it didn’t slow her down. It was when she started quoting Scripture and implying we were in sin because we weren’t together that I paused the conversation. With a humble and contrite heart, I put Miss Fix-it out of her misery. I’m grateful for the security of His forgiveness, but my confession feels a bit paltry. Now I ponder much longer with the Lord before opening my mouth. I pray my repentance brings glory to His Name. Sandra Allen Lovelace is a continuing missionary, a pastor’s wife emeritus, and a homeschool pioneer. She’s a well-respected speaker and author known for her candor and warmth. Sandra’s current manuscript invites wallflower women to enjoy the life God created them to live. She enjoys hiking with a camera in her hand, best done on an international adventure. Sandra and her husband Curt are transitioning to South Carolina. You can also connect with Sandra on Facebook. If you contact her at Twitter, LinkedIn, or Google+ she’ll be delighted by a reason to practice. I made two batches of chili today. Not because I planned to make two batches, but rather it was because whenever you try to accomplish something that involves a 3 year old ‘helping’ there is bound to be a redo at times! My youngest daughter Rachel loves to help me cook. Today was no exception, however as I was making the chili every time I turned my back Rachel would quickly add something of her own initiative. As I reached to get the chili powder, she would add in a dash of oregano. If I turned to get a utensil, in went some onion peels or some other random item that had no business being in chili. Although I know she was trying to be a big girl helping her mommy cook, none of what she did on her own helped to achieve the end result we were aiming for. If anything, her attempts to help were only slowing down the process. With my garlic, celery and onions sautéing on the stove, Rachel’s constant attempts to ‘help’ distracted me long enough to completely burn the big pot of simmering goodness that was on the stove with no hope of recovering it. While dumping my first pot of chili in the garbage, I wondered if my own attempts to ‘help’ God ever got in the way like that? What should have taken a short time to do, took a lot longer to accomplish because Rachel simply would not obey my instructions. Although I had the recipe in plain sight because Rachel could not read she had no idea what was to come next. Similarly, we can not know what the big picture of God’s plan is. Even though Rachel could not read the recipe, I still enjoyed having her by my side helping me to achieve our task. It was her persistence in trying to follow her own agenda that kept getting in the way. If she had been willing to wait until the proper time to add a new ingredient as I instructed her to, then her help would have been an invaluable contribution to one tasty chili! Today, I was once again reminded of the importance of letting go of my own agenda and to stop trying to ‘add’ in my own random items to God’s already perfect plan. If I can slow myself down long enough to wait and listen for God’s instruction and be willing to obey them, that is when I am truly being a mighty helper of God. 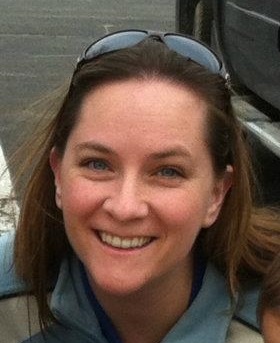 Tracy Birtch currently lives in Halifax, Nova Scotia and is mom to Crystal, Jamie, and Rachel and a Pastors wife to Aaron. Six years ago they planted a church which was an incredible adventure that brought them both some wonderful high and painful low experiences. From this, Tracy has developed a heart to see the emotional wounds of others experience the full healing that God can bring. Sometimes an indefinable restlessness comes upon a Christ-follower…a dissatisfaction with life even though nothing has changed. We’ve learned to call it holy discontent. When God called us to move to a difficult, distant location, we hung contentment on the wall like a plaque. We memorized Philippians 4:11, “I have learned to be content whatever the circumstances,” and we determined to choose contentment regardless of what happened. Because really, contentment (the flipside of gratefulness) is a choice. Will I focus on the difficulties, troubles, and inconveniences in my life, or will I focus on God’s blessings? We made a practice of declaring the good in each day and quashed complaining. We sought satisfaction with our new normal, and God gave it to us. For several years, we missed our families…and autumn…and onion rings, but we were truly content with our circumstances. We understood Paul’s advice to Timothy that “Godliness with contentment is great gain” (1 Timothy 6:6). Our spiritual lives were fruitful, and we liked who our children were becoming. No, not really. There wasn’t a single day or week that booted us out of the contentment camp. Over a couple of months, however, my husband and I both came to realize we just weren’t satisfied with life-as-we-knew-it, so we stepped back and did some self-examination. 1. Was there sin in our lives? We examined our hearts, prayed confessions, and begged the Holy Spirit to reveal anything—anything at all—that might be separating us from God’s favor. There were, of course, some sins, but nothing habitual or significant enough to rip away our contentment. 2. Had we lost our focus? We dug into Scripture, renewed our prayers, even retreated for a few days to gain perspective. Nothing changed. 3. Were we simply bored? We bought a new couch. We changed some daily habits. There was refreshment in those things but no return of contentment. 4. Was this a spiritual attack? We recruited prayer warriors to intercede for us. We pressed into the work to which He had called us, declaring Bible verses over our city, our home, and ourselves. All this was good to do. The renewed vigor helped us maintain our priorities because discontentment is distracting! But nothing erased the unsettled feeling in our hearts. 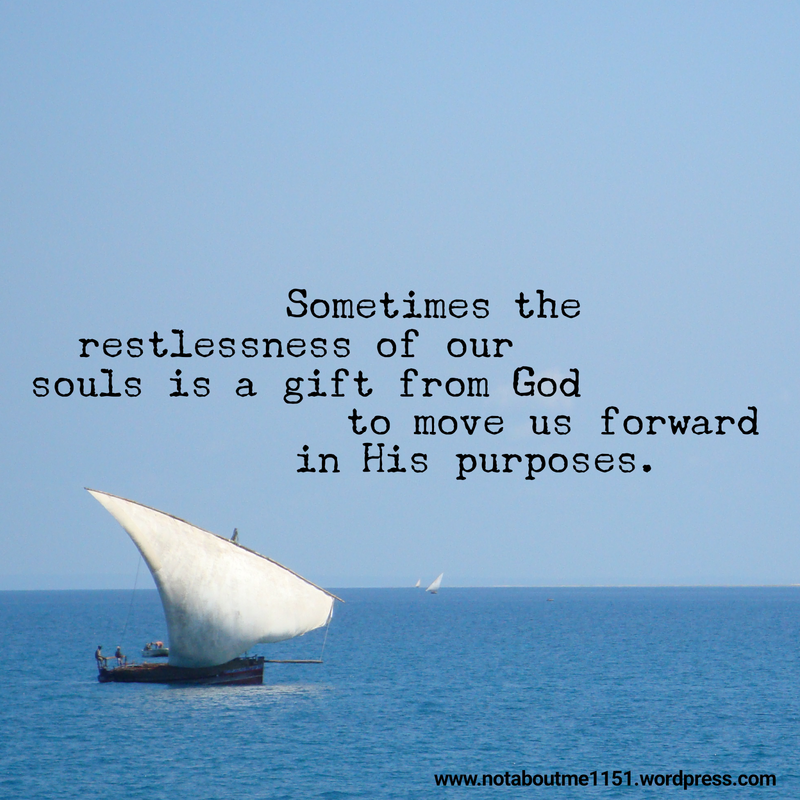 Then one day (and this really was one day), after at least six months of trying but failing to regain the contentment we had cherished, we admitted to each other that this restless feeling must be from God. And that’s when we labeled it holy discontent. If contentment were commonplace for Christ-followers, we wouldn’t need encouraging verses like, “Those who wait for the Lord will gain new strength” (Isaiah 40:31 NASB), and we wouldn’t need King David’s example of asking “How long?” (e.g. Psalm 13 and 94). When we finally named our situation, we stopped trying to grab the slender threads of contentment and learned to wade through the restlessness. 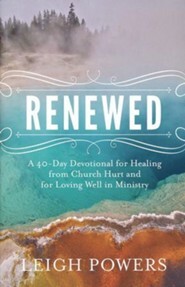 We came to understand that God was preparing us for something new, that the discontent had a purpose: to help us begin disconnecting from the ministry into which we had poured our lives. All of us quickly grow attached to the ministries in which He places us. Sometimes the restlessness of our souls is a gift from God to move us forward in His purposes. Without it, we would cling to the old thing when He wants to do a new thing in and through us. I pray my story helps you face your discontentment, examine it, and either embrace it or reject it according to His Will. 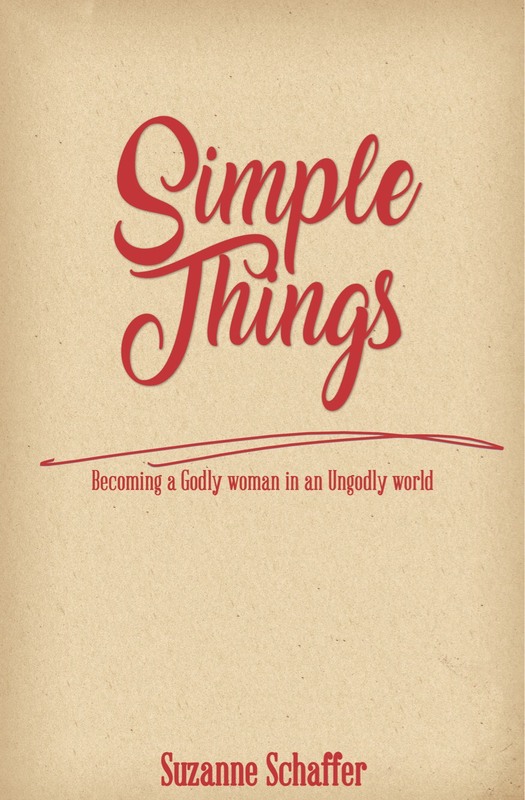 Carole Sparks is passionate about God’s Word—about how it can change our everyday lives! After years of globetrotting, she now lives, learns, and loves (plus a good bit of writing) in the hills of East Tennessee. 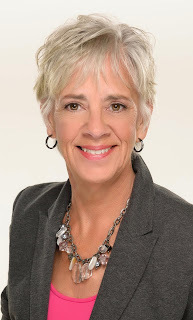 Connect with Carole through her blog, http://notaboutme1151.wordpress.com, or on Twitter, Facebook, and Instagram. After a crazy summer, I was looking forward to our perfect vacation. We’d rented a three room suite at a resort by Lake Superior. I was anticipating lazy beach days, exploring, and snuggly family time. Things didn’t go as planned. Our suite had plumbing problems, so the owners “upgraded” us to their home. It was beautiful but also awkward and nerve wracking with two small children. Our four-year-old decided this was a great time to express how the summer’s lack of consistency had affected him. He turned into a raging, defiant, fit-throwing monster every time things didn’t go his way. It rained. A lot. So much for perfect. Our ideals rarely come true. Perfect vacations. Perfect marriages. Perfect children. Perfect churches or ministry situations. It’s pretty obvious that we live in a world broken by sin. We can drive ourselves crazy striving for perfection. There is a lot of pressure on women in ministry to “have it together.” Both external pressure from other people’s expectations, and internal pressure from our own expectations. Outward performance can feel vitally important. The truth is, outward perfection can cover a lot of inward brokenness. But, it’s our inner self, our heart that really matters. If we are honest, we will all admit to being broken in some way. Guess what? It’s okay to be a hot mess. That’s the reality of life in a fallen world. This why the gospel is such good news. Jesus, because of His amazing love for us, even though we were messed up sinners, died for us. (Romans 5:8.) He died to give us forgiveness, power, and life. Familiarity sometimes causes us to lose sight of this beautiful truth. Jesus loves our broken, hurting hearts exactly like they are. He doesn’t expect us to have it all together. He isn’t shocked or disappointed by our mistakes. In fact, there is nothing you can do to make God love you any less! Are you “in Christ”; have you trusted Him alone as Savior? Then there is no condemnation. Period. I don’t know where your pressure is coming from. It could be your spouse or family member. Maybe it’s people in your ministry. Or it might be your own personal expectations. 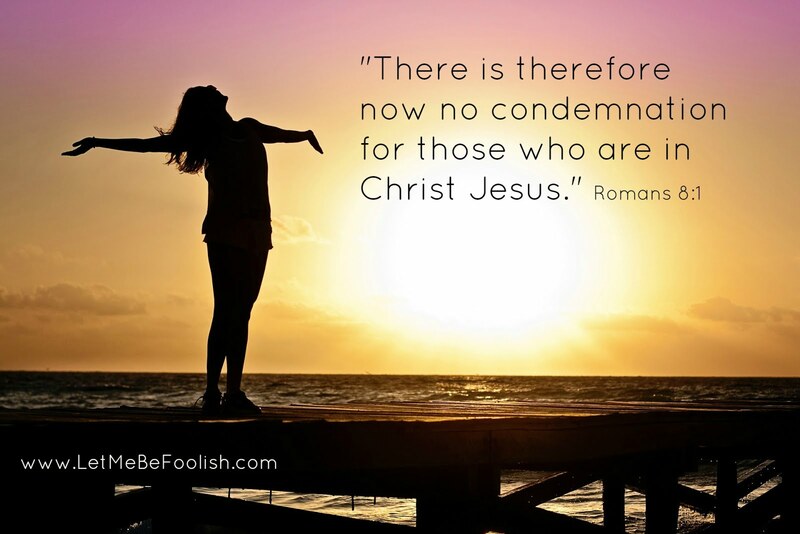 Will you believe the truth about who you are in Christ? Will you let go of perfect and just be real? 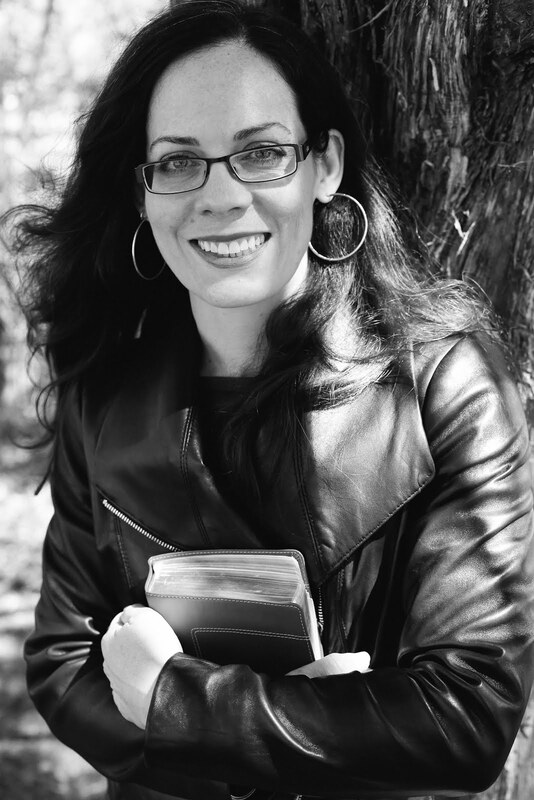 Christy Wood is a former youth pastor’s wife, mother of two, lover of Jesus, hater of legalism, blogger, and hopeful author. 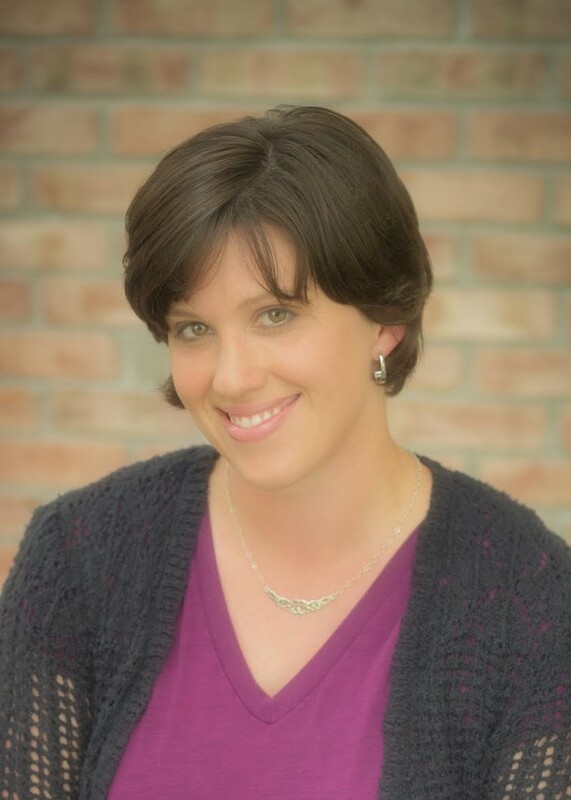 After spending her teens in a legalistic Christian cult, Christy is passionate about the truth and about helping people find genuine relationship with Jesus Christ. She blogs at www.letmebefoolish.com. Our own Suzanne Shaffer has a new book out, and we wanted to share an excerpt with you. 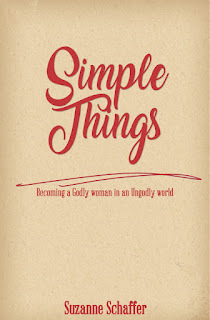 Simple Things is available from Amazon, and proceeds will be developed to Convoy of Hope. Have you ever seen a recap of a Red Carpet event? The fashion experts critique the dresses and outfits of the attendees. Which designer do you think is more pleased? The one who heard affirming comments about his creation or the one who received less than flattering ones? Just like the designer spent time creating the clothing for these ladies to wear, our Father in heaven created you. He spent time thinking about you. You are the work of His hands. When you take time to make something, you take pride in it. When I bake a cake to take to a dinner, I want everyone to know it’s mine. I might handwrite what kind it is and put it next to my cake because I know my penmanship is easily distinguished. I worked hard on that ganache, and I want it to represent me well. In the same way, God wants us to represent Him well. If we wear the label of a Christian, but aren’t any different than the world, doing what they do and acting as they act, then how well are we representing? Don’t put the label on your life if you aren’t willing to live it. The Bible is clear about how we are to deal with people who claim to be Christians but live otherwise. And it’s a little scary. There are too many people claiming to be Christians yet living for themselves. A one-time prayer is not enough. Being a good person is not enough. Live the life worthy of your calling as a Christ-follower. life. I never thought about being a missionary. I never considered a career in politics. Teaching was the major I chose in college because I had to pick one, but I knew I wasn’t going to teach. The military wasn’t something I was considering even though they tried to lure me with their ASVAB testing. My results said I’d make a good mortician. So not enticing. I don’t even like touching live people, let alone dead ones. Managing a retail store didn’t appeal to me. Being a businesswoman in a big city unnerved me. I did have a strong desire to be a wife and mother. He gently guides us. I love that about Him. Following this line of thinking is not always easy. If it were, our churches would be full of mature Christians instead of aging people who haven’t grown in decades. The devil will pester you like a sand flea at the beach when you start living this way. You will be ridiculed and heckled for your stand, even at the hand of other believers. I’ve had other ministry wives tell me my desire to live a pure life and be separate from the world is foolishness and isn’t for them. This breaks my heart. God gave so much for us. Can’t we live sacrificially for Him? It’s for our own benefit. What about you? Are you the Sunday morning Christian who can’t get a handle on the rest of the week? Do you desire to be closer to Him but find the things of the world creeping in? Or are you stuck somewhere altogether different? A fellow PW sent us this post as an anonymous submission. Jennifer sat down with the pastor to discuss plans for her mother's funeral. Elizabeth had lived a long life of service to her Lord, church, and numerous other churches as she grew in popularity as a women's minister. It seemed everywhere Jennifer went she was recognized as being Elizabeth's daughter and praised because of it. "You are so lucky to have Elizabeth as a mom, she is such a Godly woman." "Your mom is the reason I'm saved." "Elizabeth was always there for me, she gave me the strength to go on after my husband left me." Jennifer didn't share the fond memories that those outside of her home did, for the mother she knew was rarely home. The family photo albums showed Elizabeth with numerous strangers but not with her children. Her four daughters don't have the memories they wished for or the relationship with their mother that they'd craved. From outside everyone thought they were the perfect family, but appearances were more important than making memories. When Jennifer's pastor shared this with us at a ministry dinner, my heart broke for her and her three sisters. While Elizabeth was doing the Lord's work her family suffered. While Elizabeth concerned herself with how she looked, she never gave thought to how left out her children felt. Sure, they were surrounded by people all the time, but the one they needed was their mom. I don't think this is how it is supposed to be. Ministry wives aren't Stepford Wives. We shouldn't be put into a mold and be made to conform to unrealistic expectations of people who truly do not care for us in the same way our family does. What Jennifer and her sisters needed was a mom who wasn't afraid to get dirty and have fun instead of a mother who plastered on a smile anytime she left the house no matter how deep the hurt or frustration. If your children see a different person at home than they do at church, there might be a problem. Don't be afraid to be real. More people will be able to relate to you in your bad days than if you're faking it. The world needs real Christians. People who aren't afraid to take off the mask and admit that life is hard. The church needs strong women who face the difficulties of life and are able to show it. Don't be afraid when your screaming toddler throws a fit in the fellowship hall. Other mothers are watching to see how you discipline. Your child gets kicked out of school? Someone can relate to you. Sometimes we are more effective in the middle of our mess than when everything goes as planned. Jennifer is estranged from church at this time. She wants nothing to do with what she feels stole her mother from her. If Elizabeth had spent more time at home with her children instead of doing church work, I'm sure this story would have had a different outcome. I'm not sure if she would think the loss of relationship with her children was worth what she paid. Sometimes, when we're in the middle of what we think we should be doing, it's hard to see what's right in front of us. Your family needs you more than people at the church do. There is always time for ministry, but you've only got your kids for a little while. Make sure they know their importance in your life. All the accolades in the world can't stand up to how much you matter in the life of your child. 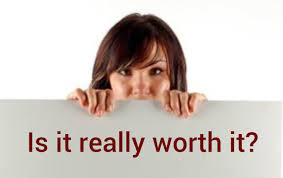 A the end of your life journey it won't matter who put you on a pedestal--they likely won't be around. Your family will ache for you and for what they'll miss. Don't make them ache out of bitterness and regret. Be there for them today. It passes too quickly. Being Confident In What We Hope For! Pilgrim's Progress Movie Review and Giveaway! Gossip: What it is and what God’s Word says about it. So I'm a Pastor's Wife - Now What? Are You Too “Nice” about Your Passion? A new school year means new adventures in learning! It’s been a LONG time, and we have BIG news! Atypical Pastors Wife - Welcome!